A Gaithersburg man who contends that Maryland's drunken-driving law unfairly caused him to be punished twice took his case to the state's highest court Monday. A lawyer for Ernest Jones argued before the Court of Appeals in Annapolis that the state violated the U.S. Constitution's ban on "double jeopardy" by suspending Jones's driver's license before it prosecuted him. Similar arguments are raging in a dozen other states, including Virginia. If the court rules for Jones, it could force the state to throw out a 1990 law designed to get drunk drivers off the road as soon as they are charged. 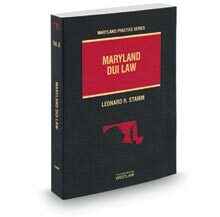 The Maryland attorney general's office is defending the law, which it says was put in place to protect the public. More than 29,000 drunken-driving cases pass through Maryland courts every year. The court gave no indication of when it would issue a decision, although lawyers said they are hoping for a ruling in about a month. Police stopped Jones, a 59-year-old telecommunications engineer, on April 25, 1994, as he drove through a Montgomery County shopping center. Police charged him with driving while intoxicated after a breath test showed that his blood-alcohol level was 0.27 percent, almost three times the state limit for drunken driving of 0.10 percent. The Motor Vehicle Administration suspended his license for 30 days. Later, he was convicted of DWI in Montgomery County District Court. A Circuit Court judge overturned the conviction, ruling that Jones's right against double jeopardy had been violated. Defense lawyers have used a similar strategy in at least a dozen states. In the seven states where the double-jeopardy argument has reached the appellate level, the courts have sided with prosecutors, according to Mary Ellen Barbera, the assistant attorney general who is arguing on behalf of the state in the Jones case. Drunken-driving double-jeopardy cases are headed for the highest courts in Virginia, Ohio and New Mexico. Jones's attorney, Leonard Stamm, argued that license suspension equaled a pretrial punishment for his client, but Barbera maintained that the intention of suspension is to "keep the roadway safe from drunk drivers." If there is a punitive effect to suspending licenses, it is "incidental" to the goal of protecting the public, she said. Barbera noted that the state is permitted to suspend medical licenses of physicians awaiting trial on charges of mistreating patients. In those cases, she argued, prosecutors should not be forced to choose between pursuing charges against a physician and preventing him or her from practicing medicine in the meantime. Stamm countered that the state does not have a clear public-safety argument for taking away licenses immediately after a drunken-driving arrest. He suggested that few people would drive drunk again right after they have been arrested. "Somebody should be able to tell us that there's a significant number of repeat offenses between arrest and trial before we start taking licenses away," he said. Articles appear as they were originally printed in The Washington Post and may not include subsequent corrections.